TOGAF emphasizes the need to tailor everything in TOGAF, and in particular to adapt the ADM to suit your exact needs. 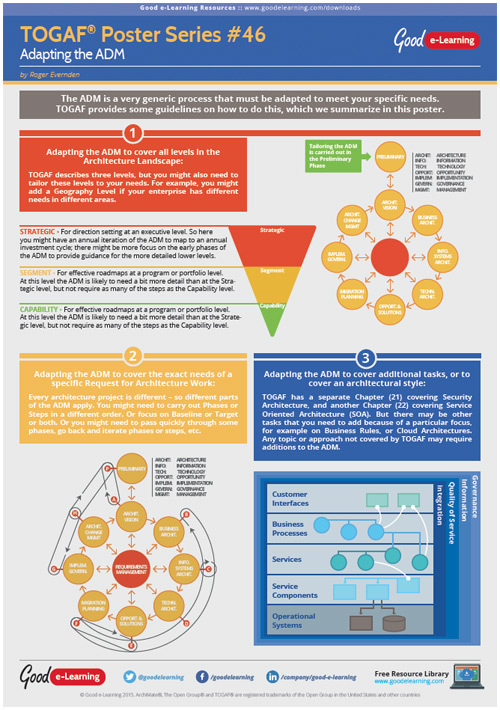 Our poster summarizes the three main reasons for adapting the ADM. These 3 reasons are: Adapting the ADM to cover all levels in the Architecture Landscape, Adapting the ADM to cover the exact needs of a specific Request for Architecture Work, and Adapting the ADM to cover additional tasks, or to cover an architectural style.